Ever have one of those days where nothing you did came out right? Or at least that’s what others would have you believe? It’s been one of those days for me. I am so thankful I have my photos and my blog to pour my heart into because I am feeling DownDownDown. It’s Pose Appreciation Week over at [SL] Blogger Support and I certainly appreciate this one!I stumbled across Tuki Loon’s shop at Osaka while I was out exploring different shopping sims looking for some undiscovered treasure. Well, I found it! I don’t think any prop or pose could have captured my feelings as well as this one. Tuki’s shop has some cool fantasy accessories and a lot of unusual items, so when you visit make sure you have plenty of time to peruse! As for me, I am going to go soak away the day’s negativity with a bubble bath and get ready to do it all again tomorrow. I truly have been a slacker this week when it comes to using the very prompts that I’ve written for [SL] Blogger Support’s Inspire Me initiative. I was pretty much going to let the week slide by without using one, until Keliah Angelis of Picture This! decided to put out a set of time telling poses that just happened to compliment some other photos I took earlier in the week, and I’ve used them to create a little story! They say patience is a virtue, unfortunately it’s a virtue that I do not have. The sun is going go set soon and he’s still not here, good thing I dressed for the weather in my J.H. Couture sweater and cords. Posted in iheartSLFeed, Inspire Me: An [SL] Blogger Support Initiative, Mens Second Life Fashion, Second Life Fashion, Second Life Fashion - Casual, Second Life Fashion - Mesh, Second Life Poses	Tagged 380, Alice Project, Belleza, Exile, Gizza, Izzie's, J.H. Couture, L'APH, Miel, Nani, Picture This! Hiding in the Darkness We Are About to Become – Unhinged. Unhinged has begun. What is Unhinged? In short, Unhinged is a Gacha Fair event to save Eku Zhong’s head. Literally. For more information on Unhinged and it’s reason for being, read the heartfelt letter from one of her dear friends. It’s another beautiful instance where SL’s community comes together to take care of one of their own. Here are a few items that you can find! Sakide’s Gacha contains 4 sets of this incredibly cute Skully dress (above). Each gacha will come with two dresses; Black/Teal, Gray/Red, Blue/Olive or Pink/Purple. Misty Harley has a cool cane with poses (as seen above) as well as dagger poses for sale with proceeds going to the event. Pin Me Down’s Gacha will contain some seriously cool skully eyelashes. You heard me, eyelashes. They are amazing and you will need to have them all. The skin I’m wearing beneath the PMD lashes and eye tattoos is also available at Unhinged from Your Skin & Your Shape and is just beautiful. I’m sure I’ll be wearing it in future posts where you can see it more clearly. 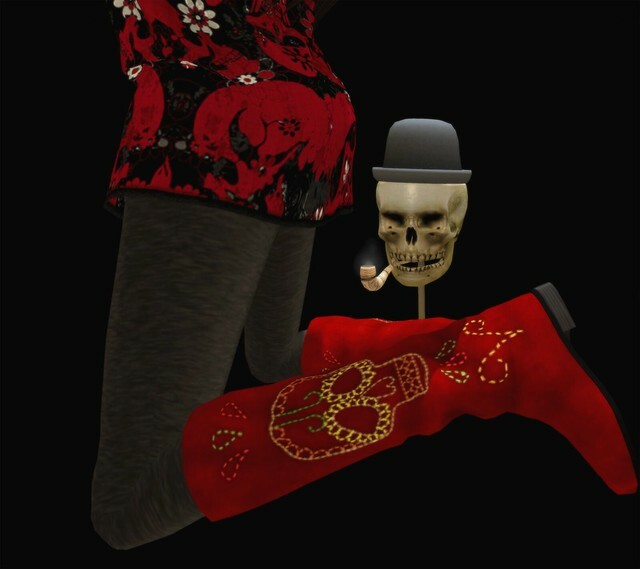 And let’s not forget these completely gorgeous Sugar Skull boots from Lassitude & Ennui. The Gacha machine has them in 7 different colors! You know you want ’em! Here’s your carriage to the event! Anyone who knows me can tell you that I’m not really a tattoo kind of girl. I don’t dislike them, as a matter of fact I think they look awesome on a lot of people. I’ve just never really liked them for me. I was browsing on Flickr and came across this gorgeous photo of a woman’s exposed back with a very delicate orchid tattoo across it. I finally had time this week to hunt it down, and I haven’t taken it off since. 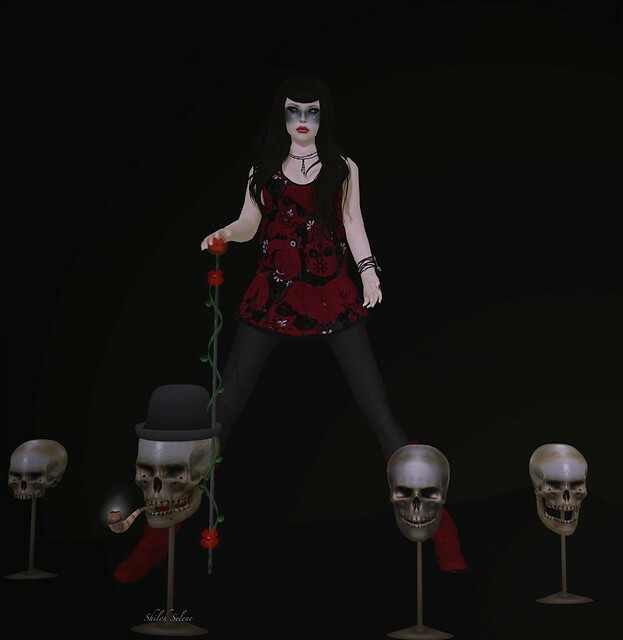 I’ve been around Second Life for some time now, I have had different avatars and lived different SLives. Each and every one of them has been inspiring in its own right. 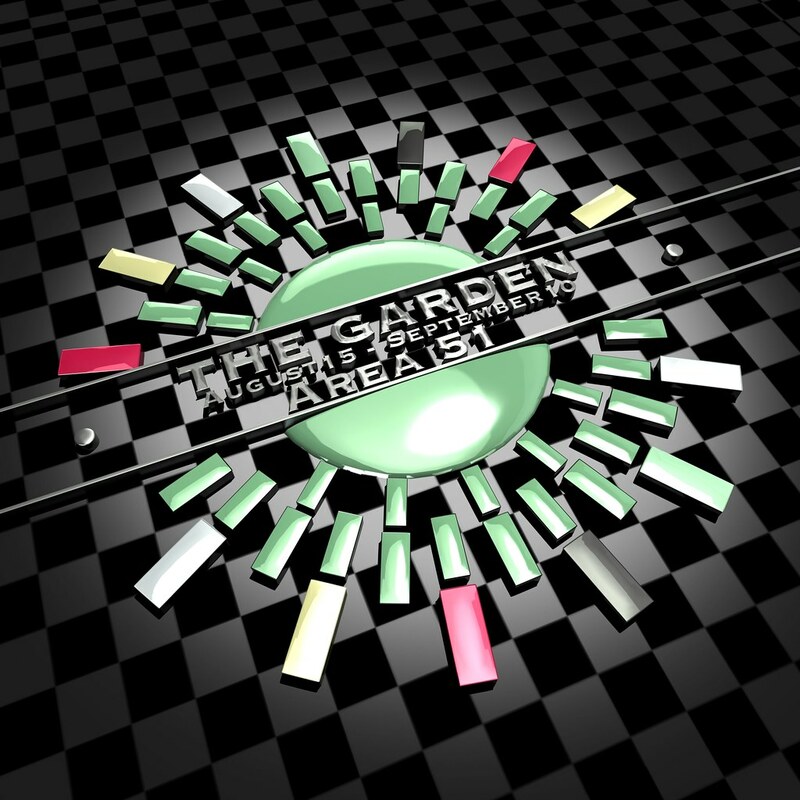 However, I always find myself being drawn back to a time when I was involved in the SL music scene and inspired by the ridiculous amount of talent that dwells within it. One of my very favorite musical artists is PM Bookmite (musician Phillip Mitchell in real life). The man can write a song, wrap it around his little finger, and twist and bend it until it takes on a life of its own. One of my favorite songs is off of an album called Therapy. The name of the song is simply… Love. Grab your tissues ladies, it’s a tearjerker. What else can I do to show you? So, I may have cheated just a little bit today. I combined 2 Inspire Me blog post ideas into one. But I think it works for me, and it also happens to be true. I really do love rainy days. In the summertime, when I was a little girl, as soon as the clouds started rolling in it was time to prepare. My friends and I dashed into our houses. No, we weren’t running for cover before the clouds burst, we were running inside to hurry and change into our bathing suits BEFORE the rain started. We didn’t want to miss one single drop! So there we would stand, the 3 musketeers (me and my 2 BFFs) waiting for those precious drops of rain from heaven to pour down on us. It was like having the worlds biggest sprinkler to run through! Well, as you can see, things haven’t changed much have they? The whole theme kind of fell into place when the lovely BellaStar Fhang of .evolve. released her crazy awesome .evolve.wellies. the other day. The pair I chose are aptly named “Rainy.” Aren’t they so cute? She made them in a bunch of fun colors so you really need to get over there and check ’em out! P.S. I am so proud of my rain… I MADE RAIN! I followed Valena’s rain tutorial and I think it turned out ok! What do you think? I’ve just started a fun new dealy over at [SL] Blogger Support called Inspire Me. Basically each week I’ll put out a list of blog prompts, one for each day, with the hopes of encouraging people to blog daily, or at least to get them over a hump if they’re stuck. You might wanna click through to check out the detail on the adorable shirt by YoPulga. You can find it at XY Room this month!